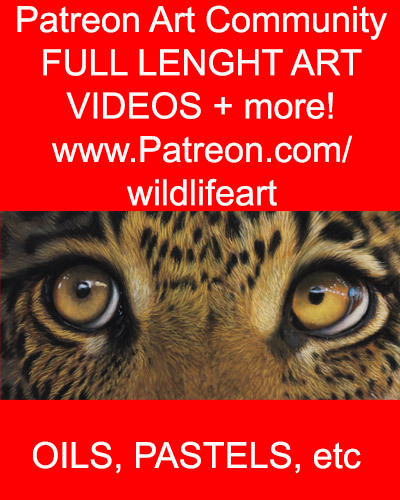 The New Wildlife Art Ebook “On my Easel” ALMOST READY! Well as the title of this post says, the BRAND NEW ebook is almost ready, I think it will be online and ready to purchase in about 2 days! Needless to say I have been working VERY hard on it! 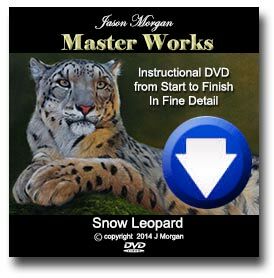 This ebook started off as an idea of putting almost all of the demos I have done on my tutorial site / blogs / forum posts etc the last 8 + years, in one easy to read place as I thought it would be a great instructional tool and resource for wildlife artists and would be wildlife and animal artists, who wanted to see the stages I went through to take a painting from start to completion. Sounded simple enough to me at the time, but when I began to gather all my demos, photos, text etc it became plainly obvious that this project was going to turn out to be MUCH larger than I expected. Which is great for the artists reading it, but not so great for me compiling it. ha……. It got so large in fact that I have even had to split it up in to 2 Volumes!!! Each volume will have approx 150+ photos showing my painting at various stages! and lots of text and description to go with them. Anyone familiar with me and my work will know I can get a bit obsessive with details. Ha… so as you can imagine I have also updated most of the text that went with the demos, expanding on it a great deal, and also adding a tips section too. I’m really happy with the way the books have turned out and they really bring you up to day with the methods I use to paint today! Volume 2 will hopefully be released 1-2 weeks after volume 1.